Federal immigration agents Wednesday raided nearly 100 7-Eleven franchise stores in 18 states and Washington, DC, including one Los Angeles, in the largest operation against an employer under Donald Trump’s presidency. There were no reports of raids in the San Diego area, but an ICE official said the raids were “the first of many” to come. U.S. Immigration and Customs Enforcement special agents served “notices of inspection” — also known as I-9 audit notices — to 98 7-Eleven franchise stores, and conducted interviews with the stores’ employees and managers. 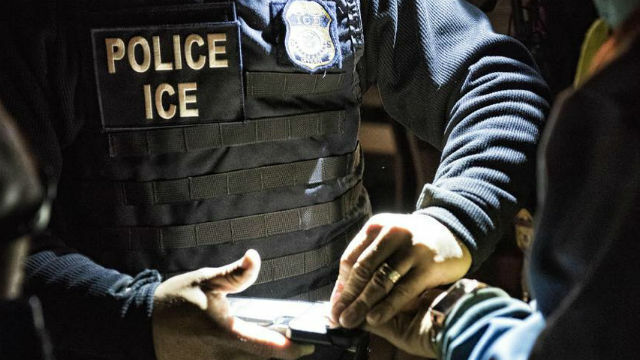 Notices of inspection are “a tool used by ICE to ensure that businesses are operating with employees who have proper work authorization,” according to an ICE statement. Twenty-one people suspected of being in the U.S. illegally were administratively arrested and given notices to appear in immigration court. At the Los Angeles location, a lone employee with a valid green card was working when more than a half-dozen agents arrived and closed the store for about 20 minutes, according to The Associated Press. The agents, who arrived in unmarked cars, told arriving customers that the store was closed briefly for an inspection. Derek Benner, a top official at ICE, told the AP that the operation was “the first of many” and “a harbinger of what’s to come” for employers. He said there would be more employment audits and investigations, though there is no numerical goal. Wednesday’s notices of inspections were served in Washington, DC, and in the states of California, Colorado, Delaware, Florida, Illinois, Indiana, Maryland, Michigan, Missouri, Nevada, New Jersey, New York, North Carolina, Oregon, Pennsylvania, Texas, Virginia and Washington.